WHEN: June 10, 2017 at 9 a.m. Check presentation at 10 a.m.
Open Swim after check presentation. INFORMATION: MyRecreationDistrict.com or call 760-347-3484. For more information on Desert Recreation District programs and activities, visit MyRecreationDistrict.com, call 760-347-3484 or pick up a local Activities Guide at any DRD Community Center (Palm Desert, Thousand Palms, Bermuda Dunes, La Quinta, Indio, Indio Hills, Coachella, Mecca, Thermal, North Shore) or at DRD’s Administrative office. The Desert Recreation District (DRD) provides quality recreation experiences to residents throughout the Greater Coachella Valley. DRD manages, maintains and assists in maintaining over 30 parks and recreation facilities; creates and delivers quality programs, services and classes; and, facilitates leisure opportunities through partnerships that encourage residents to engage in healthy lifestyles and wellness activities. 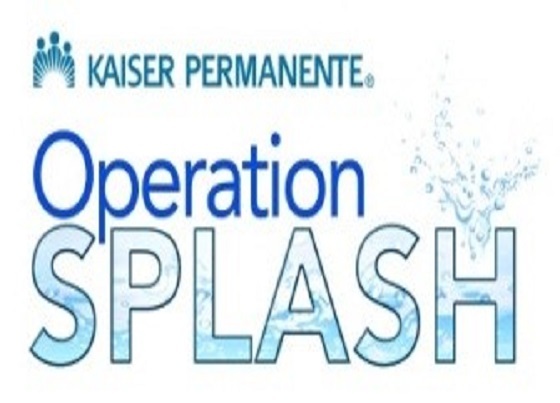 DRD host’s events such as the Senior Games and partners with health care organizations such as Kaiser Permanente to fund scholarships for swim lessons and junior lifeguard classes. DRD is funded through tax dollars, special assessments, grants and nominal charges assigned to select classes and events. Over the last year, DRD offered over 2,800 classes and programs and more than 200 special events. Visit MyRecreationDistrict.com or contact Desert Recreation District at (760) 347-3483 for more info.